Binance CEO Changpeng Zhao has hinted that the exchange has finally come up with a way for its users to convert their “dust” into useable currency. “Dust” refers to small balances of cryptocurrency which are untradable as they cannot cover the fees for the minimum transaction amount. Rumours have circulated in recent months that the Binance exchange was developing a method that would allow its customers to “sweep” their dust into something another currency like BRB, which can be used within the platform. Comment from discussion PSA for people who are using Binance (avoiding “dust”). 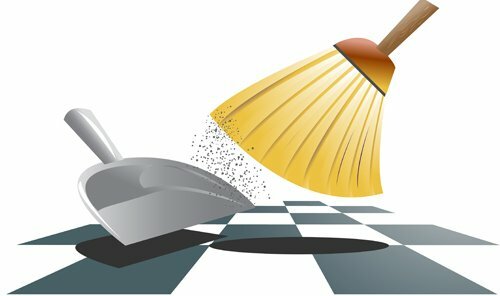 Zhao appeared to confirm the rumours, posting on Twitter that his “team has built a broom”. The news was welcomed on Reddit, though there was fury that his tweet, as so often in the cryptocurrency space, was hijacked by scammers. Every tweet by a well known cryptocurrency figure shows immediate responses from fake accounts promising giveaways and other get rich quick schemes, often with names deceptively close to legitimate accounts and featuring the same profile pictures. The problem can be seen in the responses to this recent Tweet from Verge’s official account. The original message is immediately followed by multiple tweets from a similarly named account, with the same picture, which has nothing to do with the Verge Foundation. Meanwhile, we’re also have a nice surprise for you! The first response to Zhao’s tweet is even more sophisticated than usual as the scam account has the precious “blue tick” granted by Twitter to confer authority as a “verified account”. It is a special magic broom that will get you anywhere. Some users on Reddit suggested that Twitter’s failure to get to grips with such scam attempts was evidence of a hostility to cryptocurrency, particularly following their recent ban on ICO and crypto advertising. Comment from discussion Dust to BNB conversion soon?. However, others pointed to simple incompetence or the arms race between scammers and authority. As soon as a platform works out a way to limit nefarious behaviour, the wrongdoers work on a new way around those restrictions. Maybe more cryptocurrency accounts should follow the lead of Ethereum founder Vitalik Buterin, who has changed his Twitter name to, “Vitalik ‘Not giving away ETH’ Buterin” and has added “Not giving away ETH” to his profile description. Less than ideal, perhaps, but anyone waiting for Twitter to properly address the problem could have to wait for a long time yet. It’s actually working now. Go to Binance and then to your wallet. You’ll see a Convert to BNB button. Click that and wait for your dust holdings to load. Scroll to bottom and it will tell you how much BNB you will get. Just did it and we have success!